Seven West Media CEO Tim Worner has announced two senior appointments at its West Australian operations. Current chief operating officer Maryna Fewster (main photo) has been appointed acting chief executive officer. While current general manager – circulation and distribution, Adam Everett (below), has been appointed chief operating officer. In their new roles Fewster and Everett will be responsible for SWM’s WA operations including The West Australian newspaper, The Sunday Times, thewest.com.au, perthnow.com.au, nine radio stations, 20 regional newspapers and Channel Seven Perth, as well as SWM’s holding in the Community Newspaper Group, a joint-venture with News Corp Australia. Worner said: “We are very fortunate to have Maryna available to step straight into this role and continue to evolve the business. She has already had a huge impact since joining us in April last year, and we are looking forward to that continuing impact. “We are proud of our deep and enduring connection with the people of Western Australia, which stretches back 185 years to the establishment of The West Australian in 1833,” Worner said. 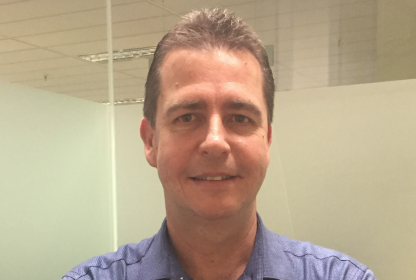 Fewster joined SWM in April 2017 as chief operating officer (WA). Prior to that she worked at iiNet for over a decade as GM Corporate Services, chief customer officer and chief operating officer. Everett has been SWM WA’s general manager – circulation and distribution since 2012. Prior to this he worked for News Corp Australia as director of circulation for Nationwide News in Sydney from 1999-2004 and then director of circulation for advertiser newspapers in Adelaide from 2004-12.